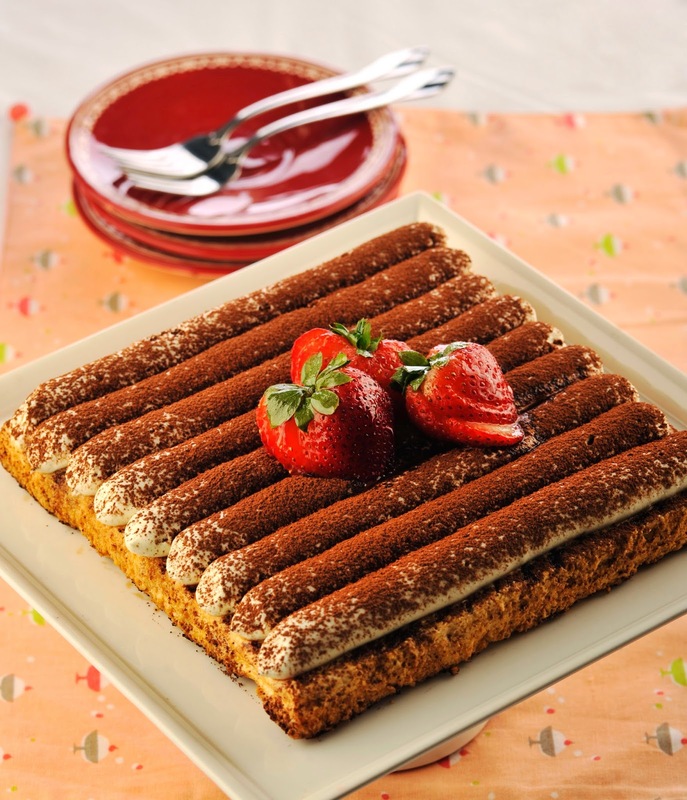 As always, The Maya Kitchen is sharing with us a delicious tiramisu recipe. Prepare angel food cake. Preheat oven to 350ᵒF/177ᵒC. Line the bottom of an 8-inch square pan. Set aside. Sift flour, salt and ¼ cup of sugar 4 times. Set aside. Beat egg whites with cream of tartar until soft peaks form. Add vanilla extract and remaining sugar gradually and continue beating until stiff. Fold in flour mixture gently; blend well. Pour into the prepared pan and smoothen the top. Bake in the oven for 20 minutes or until done. Loosen the sides by using a spatula or dinner knife and invert cake on a wire rack to cool for about an hour. Prepare coffee syrup. Dissolve coffee powder and sugar in hot water. Add coffee liqueur and stir well. Prepare cream topping. Beat cream cheese, sugar and confectioners’ sugar until the sugars are dissolved. Beat in milk and yogurt. Split the vanilla bean pod lengthwise and scrape the seeds; beat in the mixture. Set aside. Whip the cream until double in size. Fold whipped cream into the cream cheese mixture. Transfer to a piping bag with a round piping tip. To assemble. Transfer cake to a plate. Brush with coffee syrup until well-soaked. Pipe cream on top of the cake. Dust with cocoa powder on top.